Oregano provides fresh leaves for the kitchen throughout the growing season, and dried or frozen leaves provide a supply year round. Common oregano (Origanum vulgare) grows in a wide range of forms and can be invasive. Greek oregano (Origanum vulgare subsp. hirtum) is the variety that has the best-flavored leaves. Common oregano grows in U.S. Department of Agriculture plant hardiness zones 4 through 8 and Greek oregano is hardy in USDA zones 4 through 8. Mexican oregano (Lippia graveolens), which grows in USDA zones 9 through 11, is also grown as a culinary herb. 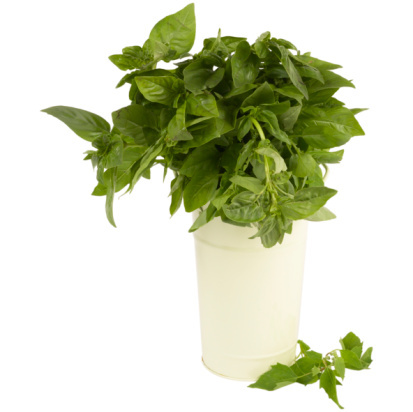 Young Greek oregano plants grow sturdy and compact when they're harvested while young. Harvest Greek oregano stems when the plants are 6 inches tall. Pinch or snip the stems two to three pairs of leaves above their bases, cutting just above a leaf pair. 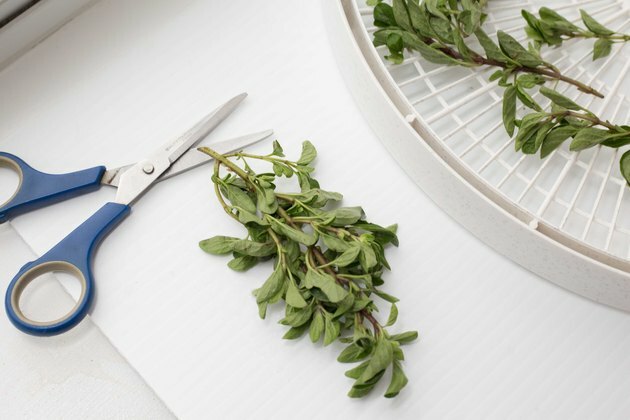 The stems should be soft enough to pinch, but you can also use pruning shears. Wipe the blades with a cloth dipped in rubbing alcohol before and after harvesting oregano to help prevent the spread of pests and diseases. For the best flavor, harvest oregano when the flower buds have formed. Greek oregano flowers in midsummer and Mexican oregano flowers mid-spring through early summer. The leaves of both plants have the strongest flavor just before the flower buds open. Pick or prune the stems to two to three pairs of leaves above their bases, and store the leaves you don't use immediately. 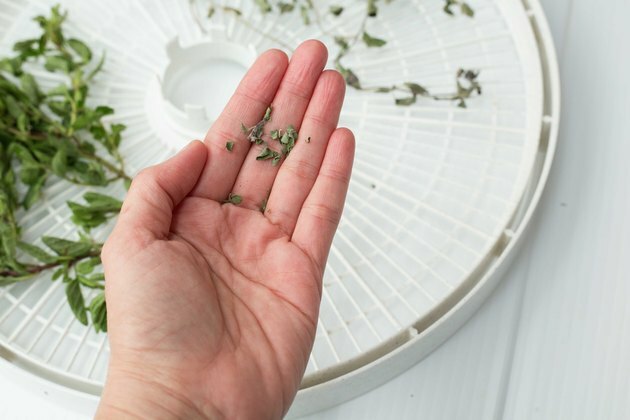 You can also harvest fresh oregano leaves as needed while the plants are in leaf, though the flavor may not be as strong. Oregano leaves retain a strong flavor dried and frozen. To dry leaves, tie small handfuls of stems together with twine, and hang the bunches in a warm, dry, airy spot. 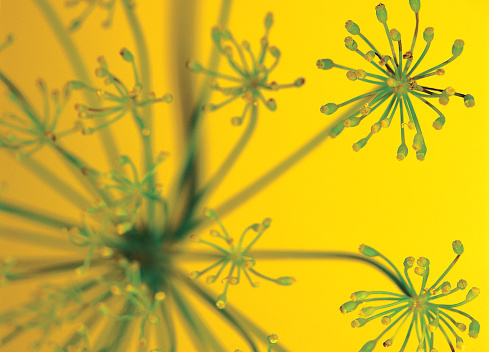 Alternatively spread out a single layer of stems on a screen to dry. Oregano stems are ready for storing when the leaves crumble easily between your fingers. Put the dry stems and leaves in in glass or plastic, sealed jars in a dark, cool place. To freeze oregano, lay the stems flat on a baking sheet and place the sheet in a freezer for one to two hours. Put frozen stems in a freezer bag and squeeze out the air before sealing it. 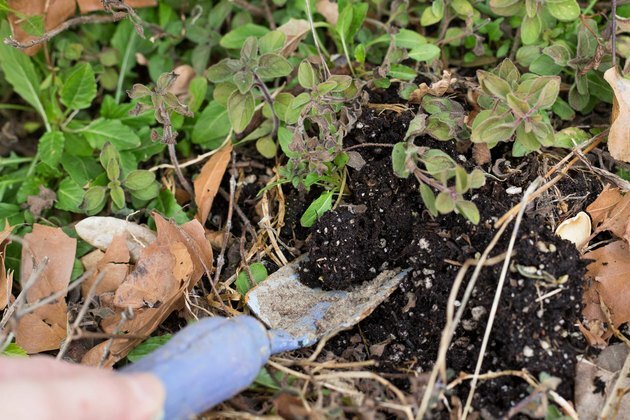 Digging up and dividing clumps of Greek oregano helps prevent the plants from becoming woody and unproductive, and losing flavor. 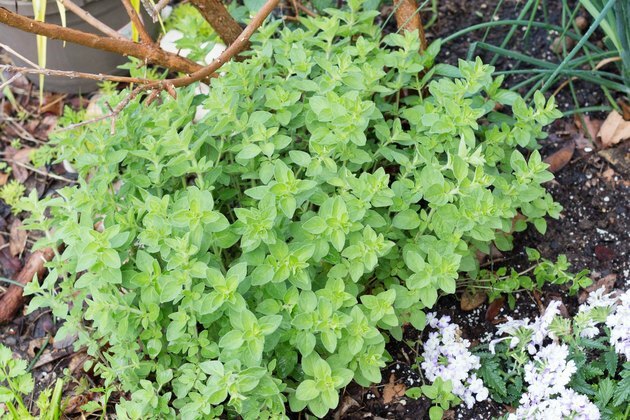 Every two or three years, dig up Greek oregano plants in early spring. Pull the plants into three or four sections, and replant them at their original growing depths, 12 to 18 inches apart. Greek oregano grows best in full-sun sites and average, well-drained soil. Alternatively, replace mature plants with young plants from your local garden store or plant nursery. Taste a tiny piece of leaf before buying to check that the flavor is sharp and intense.